You read that right, Friends, 99¢ for a table!! Hey there, and welcome to Trash-to Treasure Tuesday, one of my favorite days of the month! 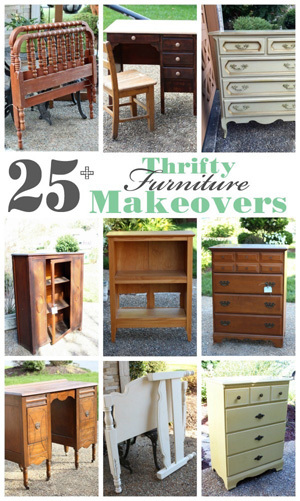 Not only am I sharing a thrifty makeover today, but four of my favorite treasure-maker friends are too! Look for their posts at the bottom. See what I did with that lamp HERE if you missed it! I had to ask the salesperson if that was really marked 99¢?? I thought surely they meant $9.99, but nope, so of course I had to bring it home. 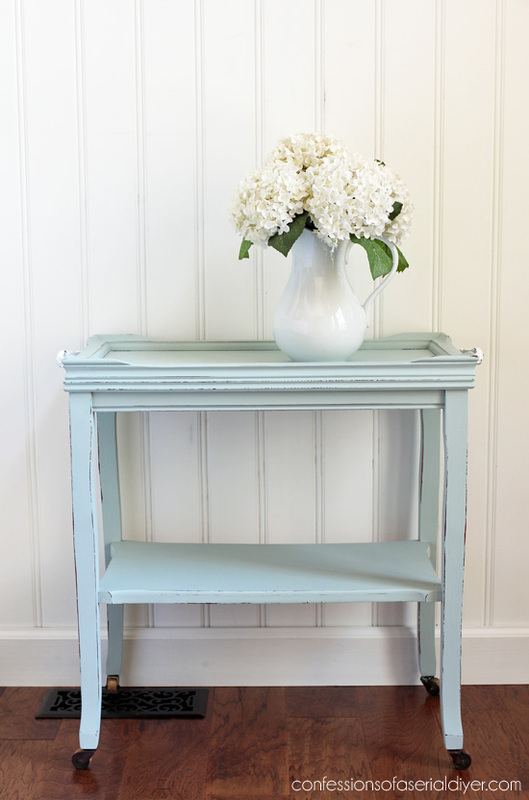 I used my Gray Morning by Behr (mixed about 1/2 with Pure White) in my go-to DIY chalk paint recipe on this piece. I love this pretty blue. These are one of my favorites from Hobby Lobby. It acts more like a little cart now. This would be perfect in a bathroom to hold fresh towels. 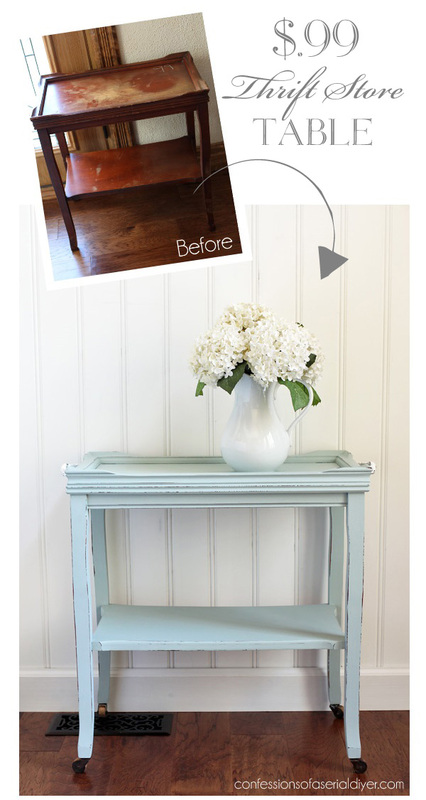 I love to dress up my furniture makeovers with fresh flowers. Only these are not fresh…they’re totally fake! Would you believe that I actually found these at the thrift store? You just never know what you’ll find! These were not sitting out in the open like this, but up on an out-of-the-way shelf. I almost missed them! 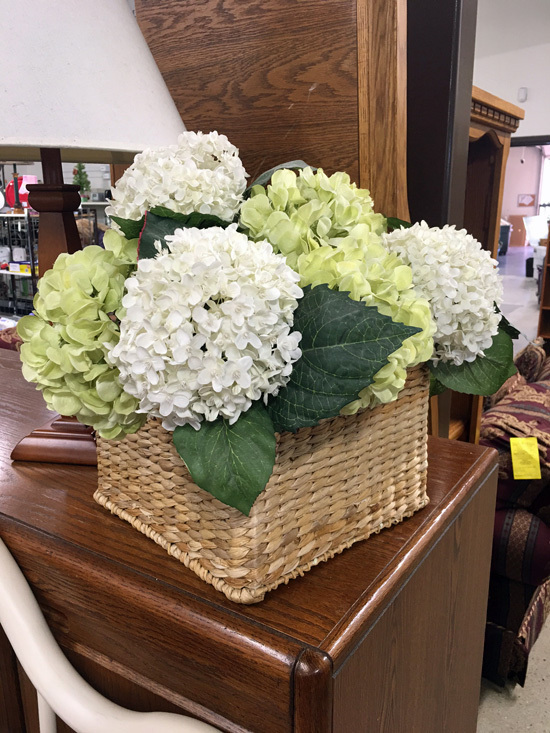 I love hydrangeas, so for $9.98, these will tide me over till my real ones are blooming again this Summer. I hope you enjoyed seeing what this sad table became! 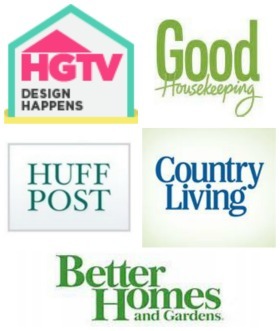 Want to see more trash-to-treasure projects? See all of mine from this series HERE! UPDATE: See how they turned out HERE now! How lovely. You are not only very talented you are quite the bargain shopper! I love it! Score!! Not only that, but you nailed the color and I love the addition of handles and wheels. Great job, Christy! This little table is soooo cute. 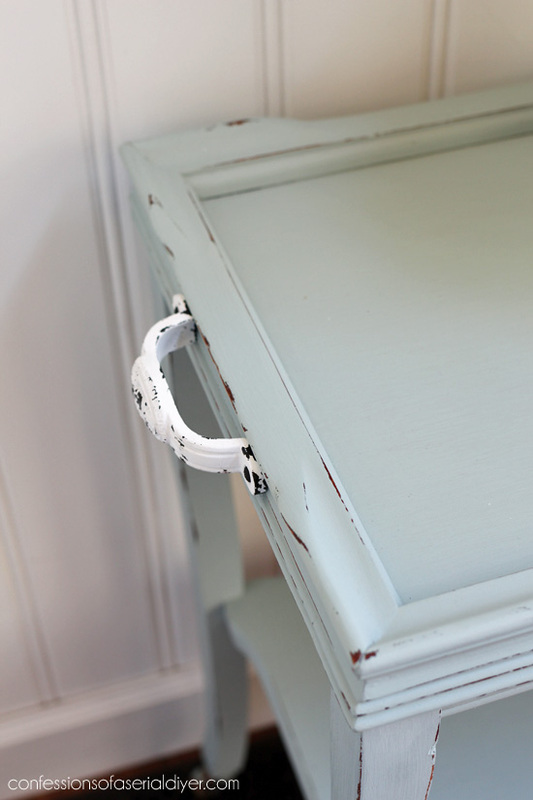 Love the handles and the rollers you added. More of that talent you have showing. Oh Christy, what a wonderful makeover. Adding the wheels gives it a whole new purpose and I love the handles. It is such a good feeling when you can snag such a good deal. Awesome! Wowza!!! What a difference!! Beautiful!!! What a find, and what a great transformation you’ve done! 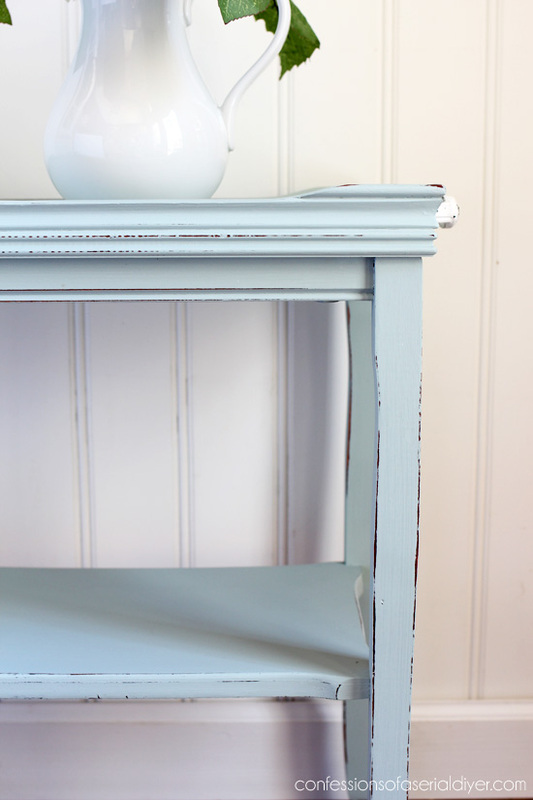 Your little blue table is gorgeous – you’re so right about what a good thing paint is! 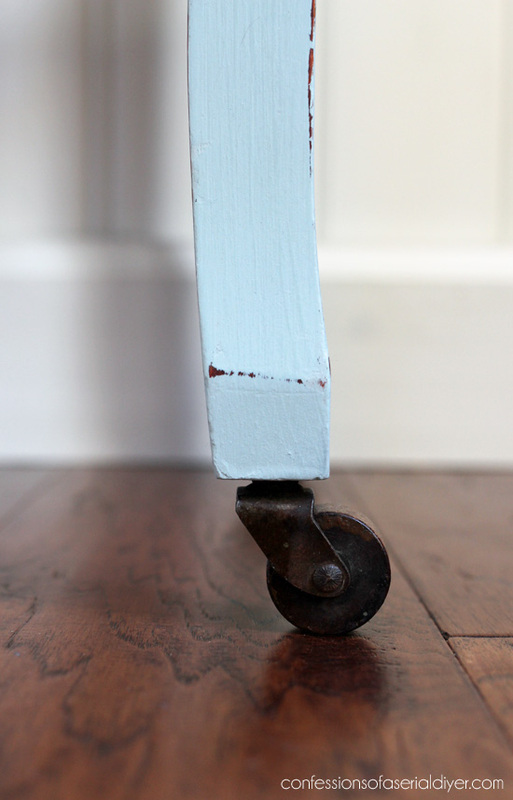 Love the little wheels on it and can see using that in almost any room of the house. 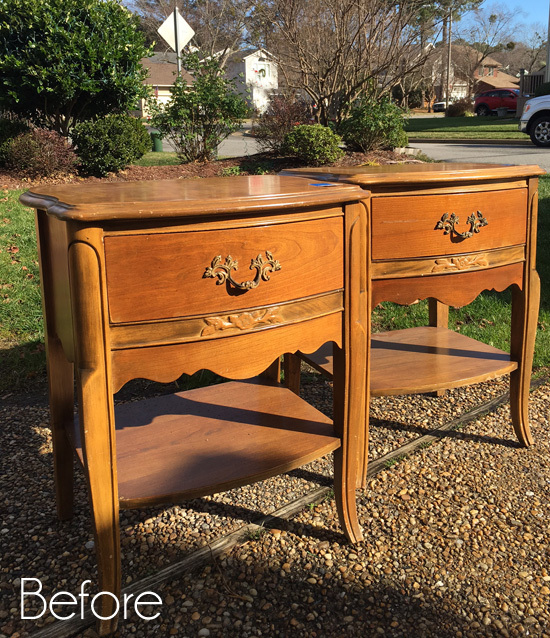 Kudos to you for saving another piece from the landfill! Seriously blown away as usual. Prettiest dollar bill I ever saw! Christy, you are a genius! Anyone could paint that lovely table and be done with it, but you have given it a whole new purpose. 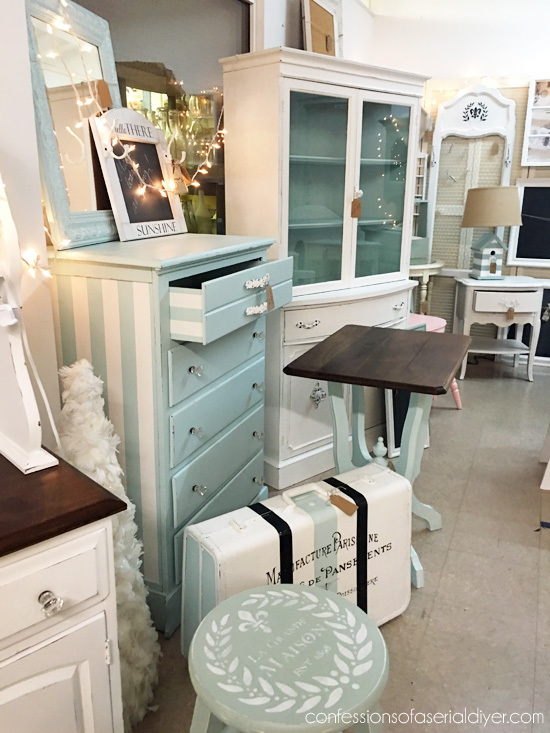 It could be a bar cart or tea cart, or a mobile craft station. So many possibilities! Well like everyone else has mentioned Christy, I love the color, and the addition of the handles and wheels! Beautiful transformation of this .99 cent find!! Oh my goodness! Wish I could find those deals around here. You totally nailed it. 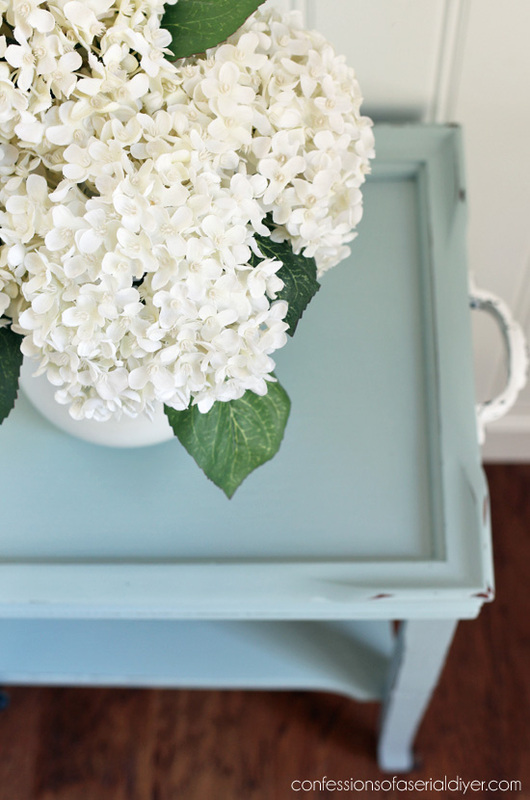 Love the color, the wheels, handles and of course the hydrangeas! I love your happy cart. It turned out absolutely delightful! I love it! I have two tables that I got from my grandma and grampa’s house. I love them and they need a make over so this is great. 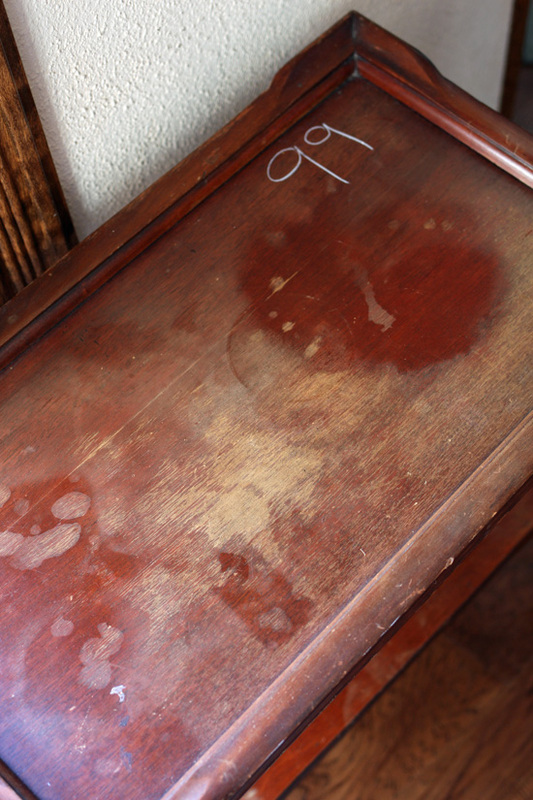 That old tables have style and are inexpensive at thrift stores. I love the color! It was such a deal! You know I’m in love with this table!!! You also have me sold on this paint color! Is this paint chip still available for this color? 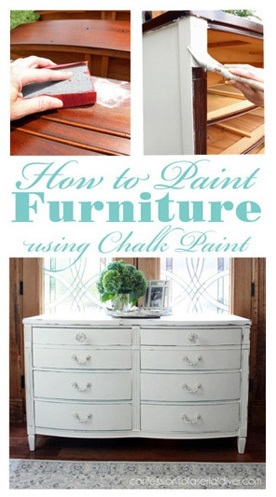 I know after a while you can’t find the paint chip on the shelf. Do you have any numbers on your paint can for this color? Also, can you remind me what you use for your white paint? Thank you!!! Love it and I can’t believe it was only .99 cents! Wow!! 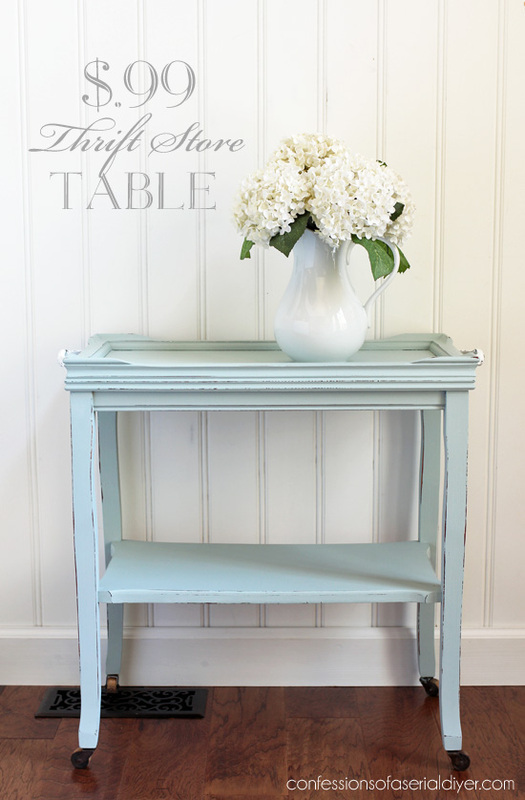 Christy, that little table turned out beautiful and I love that you added the handles and wheels to it, and that color is so fresh and beautiful I love it. Love the hydrangeas, they look so real. you really got good bargains on the table and the flowers. 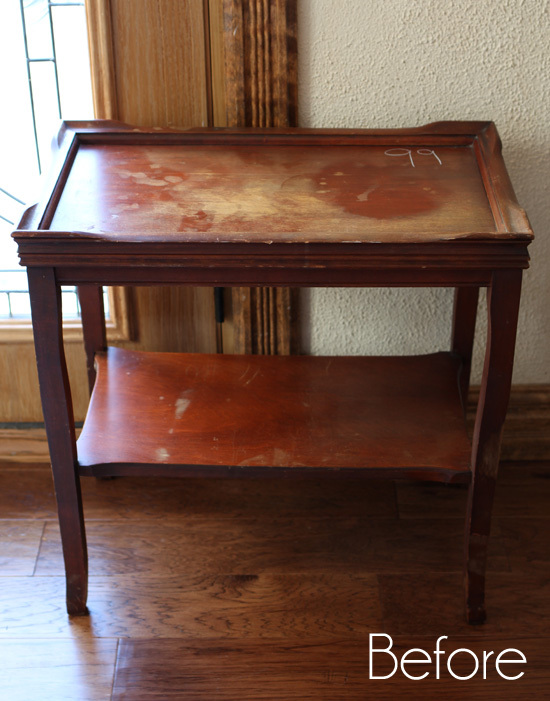 OH my goodness….I have that SAME table!!!! It’s in fair shape but I always planned on doing something with it. It belonged to my ex husband’s father, then my ex husband. I have toted it along with me from 1988 from house to house (and husband to husband. ha!) I was thinking that one day I would mosaic the top since it has that edge on it. 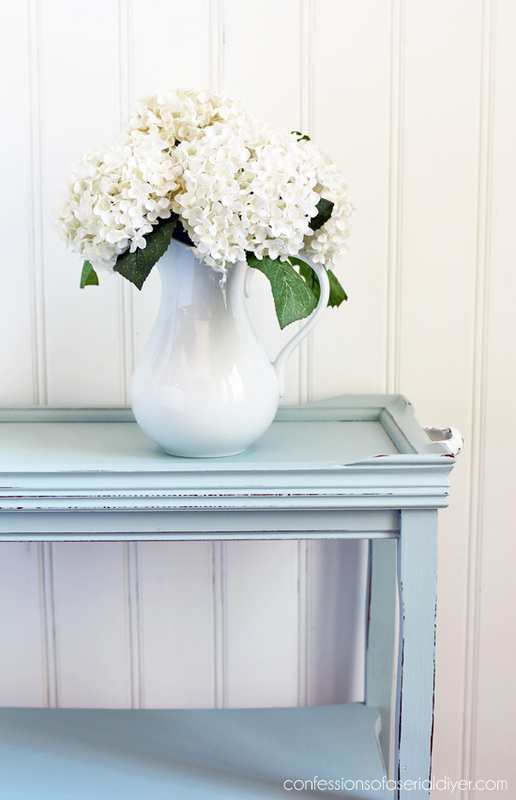 I am also going to use your table as inspiration…I do love that color and technique. I have a new picture in my mind now!!! Wow! What a transformation! I love your additions, those handles really make a difference! 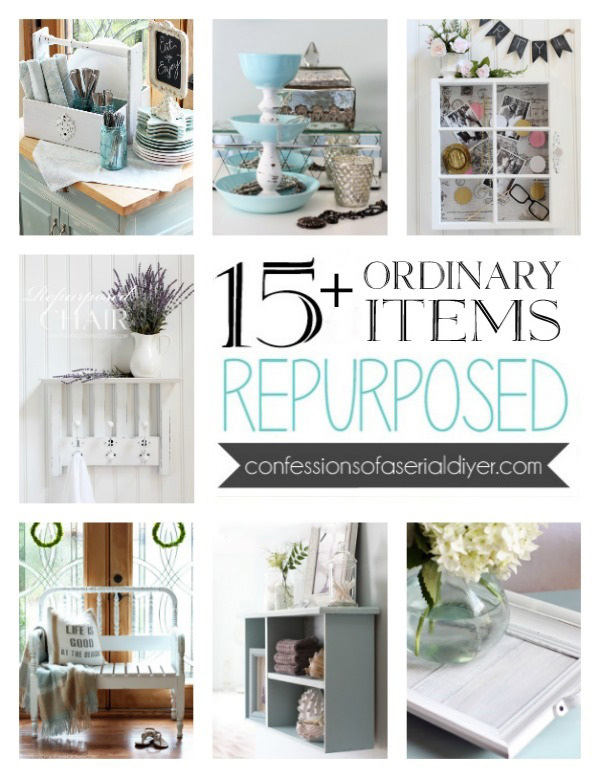 Trash to treasure indeed!!! Thanks, Becky! This responded well with a little TLC, huh? I keep trying to think of a place I can put it ha ha… better get to the shop quick! 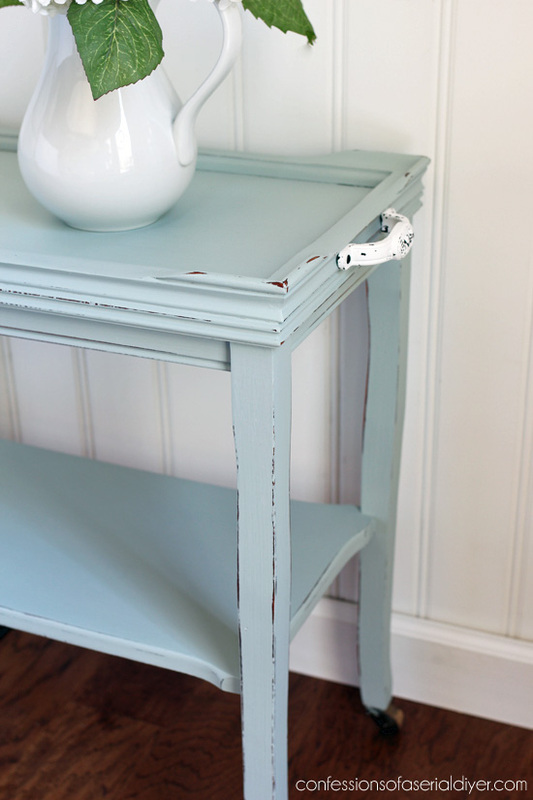 Christy this is such a great find and Iove the color and your clever addition of handles and wheels. Pinned!! 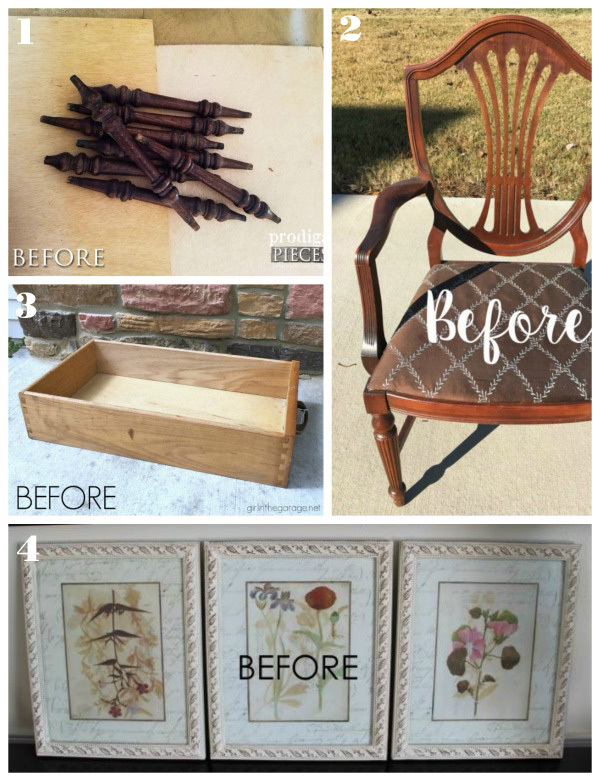 Love this transformation! You’ve inspired me once again. I love how you added wheels and handles to this piece to make it function as a cart. What a clever idea! I can think of so many spots that this cart could be used. 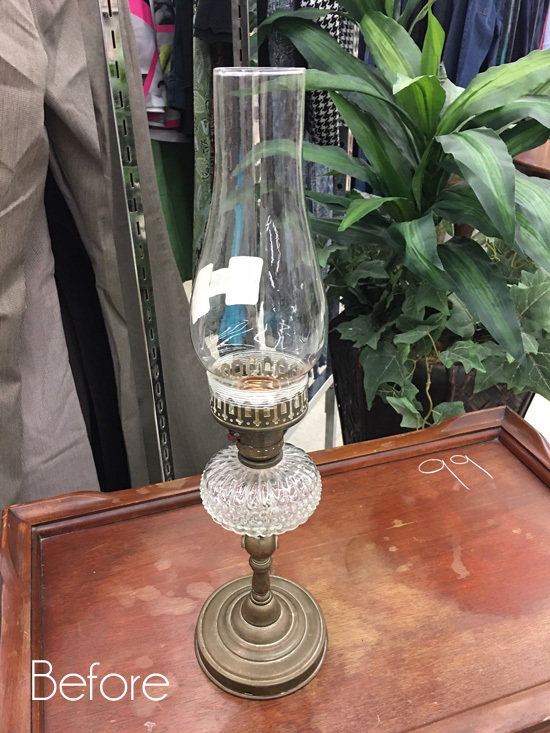 This may be your best thrifting bargain yet! Wow, you really lucked out on that one! The price!! Love the color too! Can’t believe they priced it so cheap…around here that would be at least $5 minimum, but probably more. A really cute job! Love this little table. Cannot believe you got this so cheap. the thrift stores in my small town never have goodies that cheap. Great project. 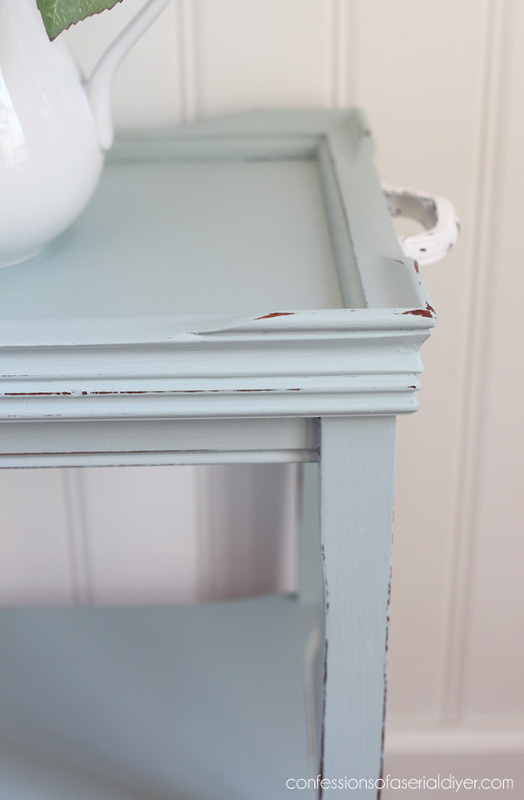 Love the color, and adding the handles & casters made all the difference! I love what you did with the table! I, myself would have refinished with walnut lacquer and tiled the top with multicolored ceramic tiles. Thanks for sharing your talent with us!